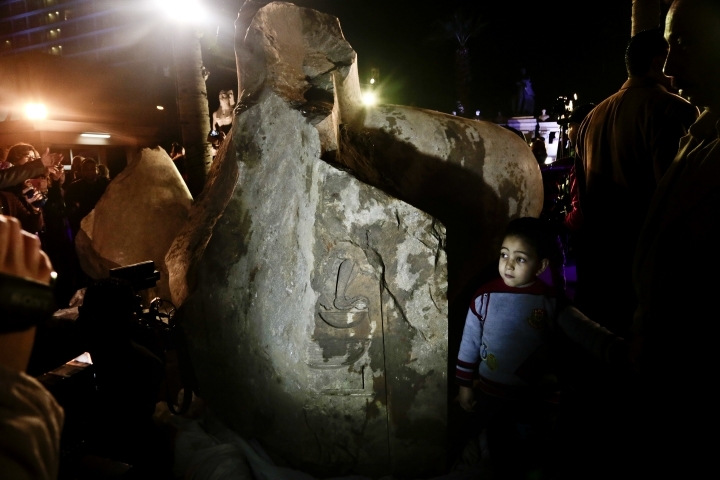 CAIRO — A massive statue recently unearthed in Cairo and thought to depict one of the country's most famous pharaohs may be of another ancient Egyptian ruler, the country's antiquities minister said Thursday. 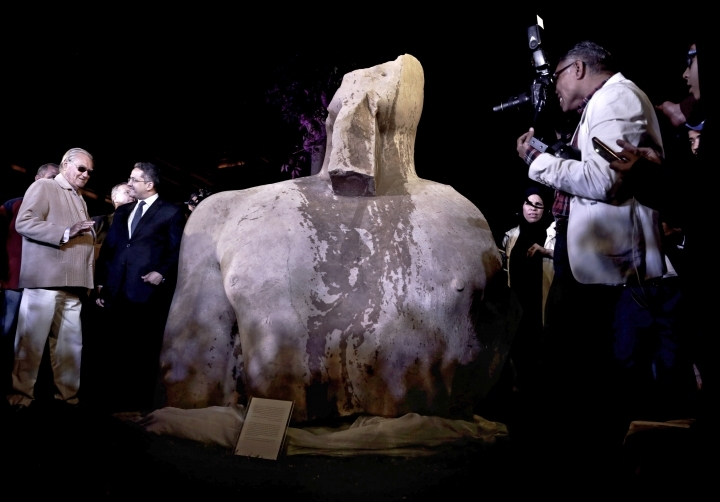 Khaled el-Anani said the colossus discovered last week in a Cairo suburb by an Egyptian-German team almost certainly depicts Psamtek I, a little known pharaoh from the 26th dynasty who ruled Egypt between 664 and 610 B.C. 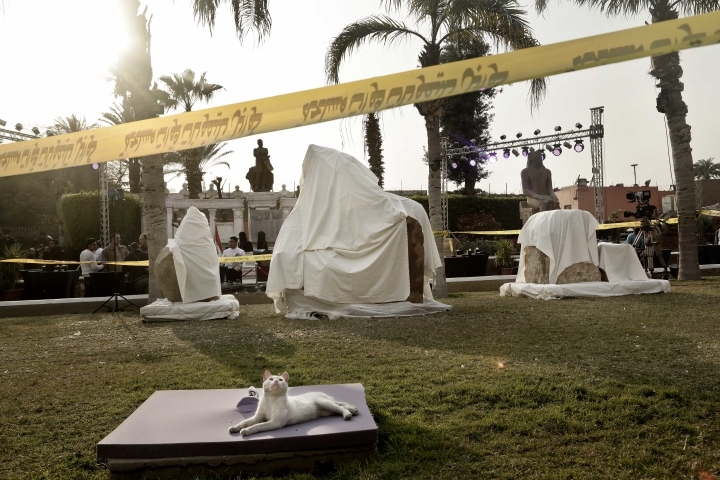 "We are not going to be categorical, but there is a strong possibility that it's of Psamtek I," el-Anani told reporters in the front yard of the famed Egyptian museum in the heart of Cairo. Sitting just meters (yards) away were parts of the statue, including the torso and a partial head, which were ferried across the city before dawn on Thursday. The statue was thought to be of Ramses II, who ruled Egypt more than 3,000 years ago. 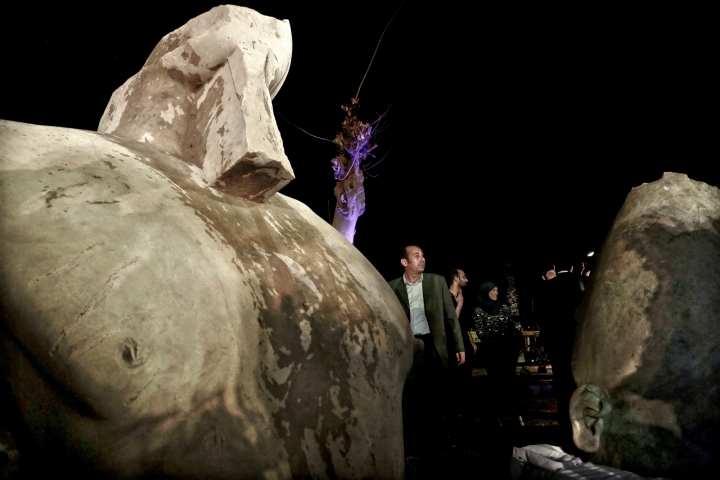 "There is a possibility, albeit small, that Psamtek I reused an older statue that may be of Ramses II," el-Anani said. Psamtek I, credited for bringing stability to Egypt after years of turmoil, ruled some 600 years after Ramses II and sat on Egypt's throne for about 50 years. Ramses II, also known as Ramses the Great, ruled for around 60 years. 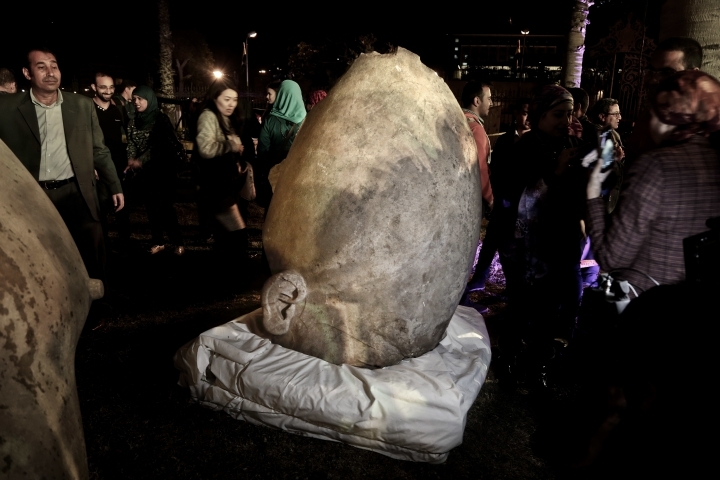 The discovery of the quartzite statue has offered a piece of welcome news at a time when most of Egypt's 92 million people are struggling to make ends meet amid an economic crisis. The tourism industry has yet to recover from the years of unrest following the 2011 uprising that toppled Hosni Mubarak. 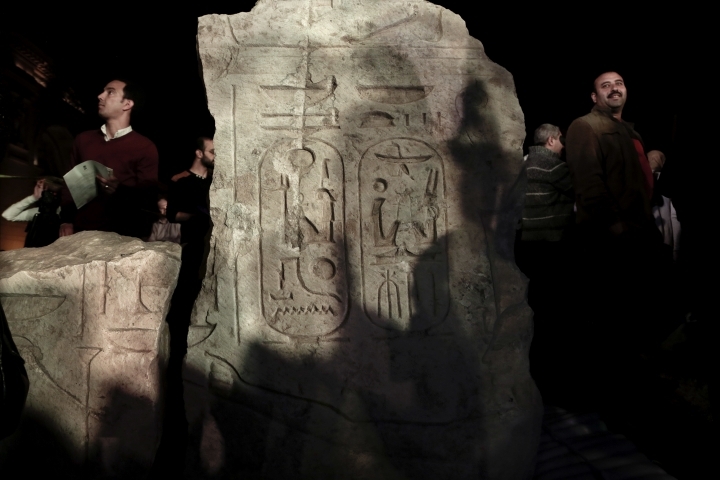 Egyptian officials appeared keen to bring international attention to the find. The press conference called to clarify the statue's identity was held at the Egyptian museum, which houses the world's largest collection of pharaonic artifacts, and was attended by senior government officials and diplomats. El-Anani allowed the anticipation to build, delivering his remarks after four archaeologists and restoration experts spoke. He said the size of the statue — with an estimated height of some 9 meters (26 feet) and a weight of seven tons — was typical of Ramses II's era, but that hieroglyphs discovered at the statue's back-pillar after it was unearthed showed that it was of Psamtek I. "We will not be 100 percent certain that it is of Psamtek I, but give us days, weeks or months and we will be certain," he said. 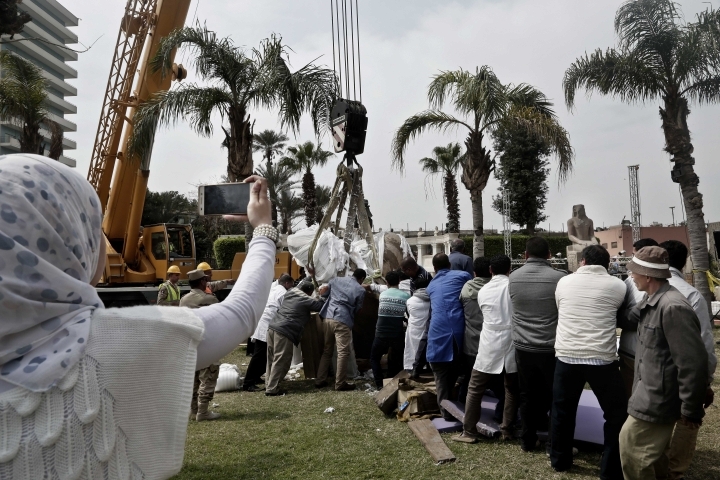 For now, said the Egyptian museum's chief of restoration, Moamen Othman, the challenge is to prepare the statue to survive in an environment different from the one in which it was submerged: Water and mud. "It's important that we study the process of environmental adjustment for the statue. It will take three months to do." The statue will eventually be displayed at the yet-to-open Grand Egyptian Museum near the Giza Pyramids.